Home > Thailand > Bangkok Getaway with my Cousin: On Changing Planes, Immigration and the Khao San Road magic! 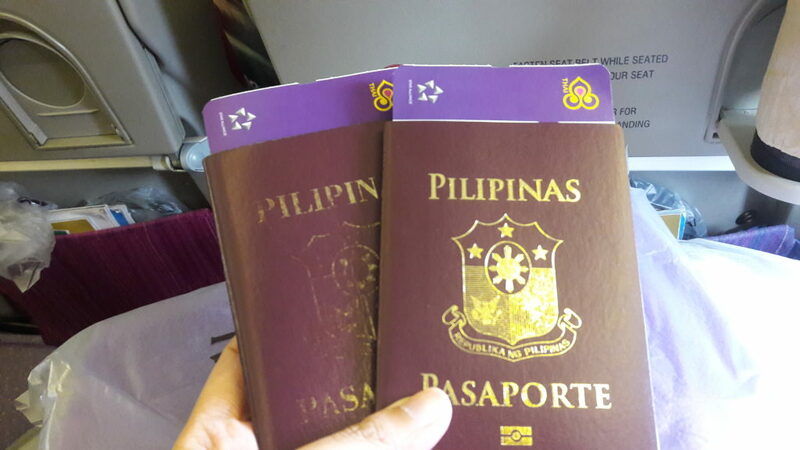 Early this year, my cousin Lanelle and I were chatting about passports. I was in the UK that time and she was venting out and expressed her desire of visiting Thailand or Singapore. “But first, do you have a passport?” I asked her. “I have, but it is already expired.” She said. “Nah, I have to make sure I have a flight and we must plan it just in case. You know, I have to look after my son.. your nephew!” she replied. Back when we were teenagers, I would go to the family hometown every summer and bond with my cousins. I was closest to her because we almost share the same age (she’s just 10 months older than me) and we both love to sing and dance… and to eat. 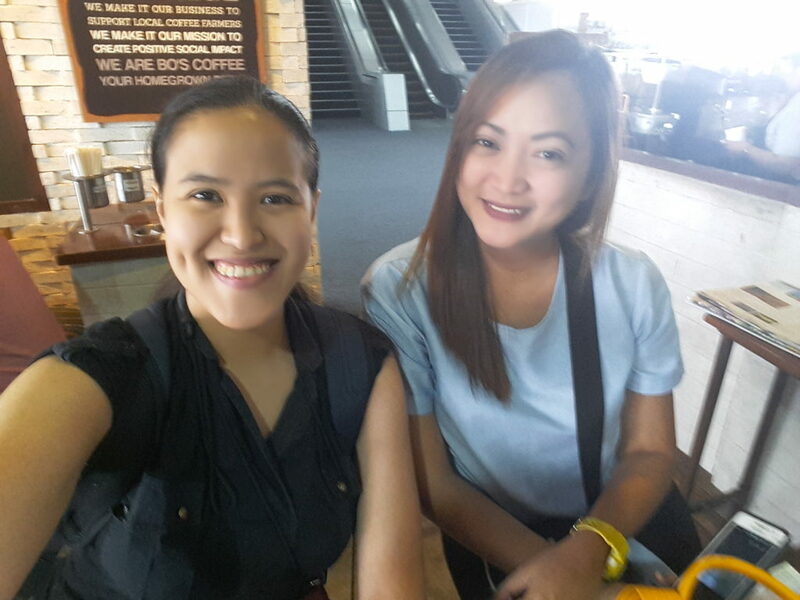 By the time we were in college, she studied in Dagupan and we would often eat out (sponsored by her ha-ha-ha). She would buy or lend me clothes to wear because she finds my fashion sense back then “too simple” and we’d go out from time to time to party. You know, back in the day when most night establishments hire bands that play RnB and pop songs over acoustic sets. Not that I’m against acoustic sets, but if I go out at night with my ladies, I’d rather dance and let the music take over my mind and body! But as they say, things and situations changed. When she entered motherhood, I often found myself on my own when I go to our family house. Most of my cousins were busy with their own families while there I was isolating myself either on the kitchen eating pinapaitan or using my laptop on the area in the house where there is strong wifi connection. When Skyscanner launched their SkyscannerXchange web series, I diligently watched all four episodes where two Filipino travel bloggers (Ron Cruz and Lissa Kahayon) flew to Thailand while two Thai bloggers flew to the Philippines (Cebu to be exact). After watching all four episodes, you have the chance to win a trip to Bangkok, Thailand for two with 3D/2N accommodation in one of Bangkok’s promising hotels. Hmmm… let me answer the questions and share my unique referral code. I got all four answers right and luckily, some friends of mine signed up using my code. Then I got the surprise of my life when a fellow travel blogger sent me a congratulatory message about me being one of the three joiners to win a trip to Bangkok with a plus one. I guess this is the opportunity Lanelle and I were waiting for! “Girl, did you renew your passport already?” I asked Lanelle. “Not yet. I have no reason to.” She replied. I tagged her in the official announcement of Skyscanner Philippines. It is my cousin’s first ever international trip that’s why I wanted to make this experience perfect for her. Thanks to Skyscanner, they booked us a roundtrip Manila-Bangkok trip with Philippine Airlines as our carrier. I was happy when they granted my request if I can extend my trip from 2 nights to 4 nights. Of course, it was up to me to look for accommodation on our third and fourth night. I was really looking forward to staying in Riva Surya Bangkok (book discounted rates), which is a luxury hotel that is just walking distance from the infamous Khao San Road, where I was dancing Maroon 5 and Christina Aguilera’s Moves Like Jagger years ago… back when I was thin. We just learned that our flight to Bangkok was cancelled and we were moved to the 7:20PM flight instead of 1:55PM. Gutted, I went to PAL’s ticketing office and I told them we have an appointment with a friend at 7PM and arriving in 9:50PM in Bangkok means we will miss a lot. I was calm but frustrated that time. The most that I expect I can get from Philippine Airlines that time is a meal stub for lunch and dinner or the opportunity to stay at the Mabuhay Lounge. But woah, I was surprised when they moved us and another foreign client to a Thai Airways flight departing at 1:05PM. From Terminal 2, we were transferred to Terminal 1. We rushed to the Thai Airways counter, paid the travel tax (ouch) and our adventure in surpassing the immigration officer began. Leaving the country for the first time can be stressful. Immigration Officers in the Philippines tend to ask a lot of questions especially if you can’t present the documents to prove that you have no intentions of overstaying in the country you’re visiting. Even I was called by the immigration officer interviewing my cousin in order to help her answer some of his questions about how close we are as cousins, how far her place is from mine, my blog URL (my cousin mentioned I was a travel blogger), who paid for our accommodation, what is the nature of business of Skyscanner and how many times have I been to Bangkok. When he confirmed that we have no intentions of overstaying, he wished us to enjoy our Bangkok trip. Whew! I think we were stuck there for almost 8 minutes and I was afraid we won’t make it on time to the boarding gate. 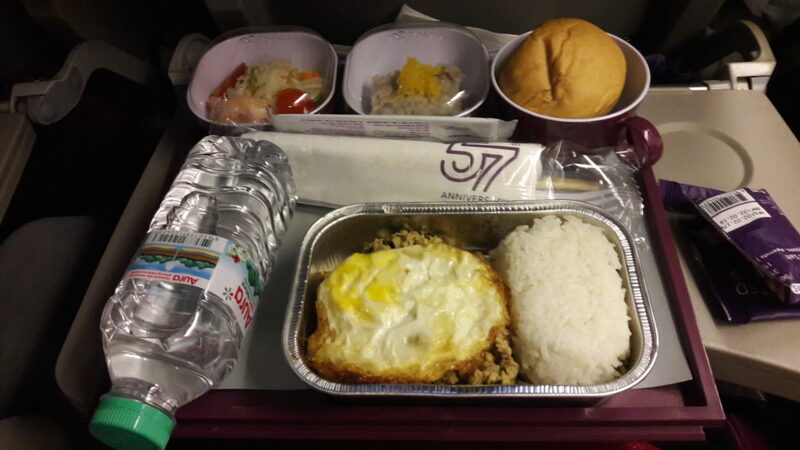 It’s my first time to fly with Thai Airways that’s why I got excited although we were seated apart from each other. For three hours, I ate a delicious inflight lunch meal and grabbed the opportunity to watch the Bradley Cooper starrer ‘Burnt’. I can say that my cousin was nervous and excited at the same time. The challenges we had to go through to be able to settle in Riva Surya Bangkok was unpredictable. We’re thankful we made it on time. For dinner, we ate Pad Thai in a stall along Soi Rambuttri, were I used to hang out five years ago. So what about our meeting with friends? We did meet up with them in Khao San Road. Their names are Tiger (with a towering height) and Mojito, who is sweet but risky to be with. We capped the night meeting new friends, listening to super loud music, people watching and chatting with other travelers. By 10PM, it started to rain. Due to the influence of our ‘towering’ friend, we joined the crowd on the street and danced Despacito etc. with everyone. I was dancing Bailando with travel blogger friends way back in 2015. “This is so much fun! Thank you!” Lanelle whispered. “No… thank you. You were the one who encouraged me to have fun and party way back in college. It’s time to give back!” I teased. Yes, the night is still young and so are we! And it is just the first night of our trip! Kung pwede lang haha I would love to go! I never understand why people don’t have up to date passports but I guess if you don’t need it why would you go to the hassle and money of getting one. I’m so glad you got to take your cousin away with you. Sounds like it ended up being an awesome trip!